BECAUSE OF ENGRAVING CHANGES IN INTERNATIONAL POSTSYTEM, LPS CAN NOT BE DELIVERED ANYMORE THAN LETTERS. PLEASE LOOK AT THE PICTURES AND ITEM DESCRIPTION BELOW (PLEASE SCROLL DOWN) TO GET FURTHER INFORMATIONS! 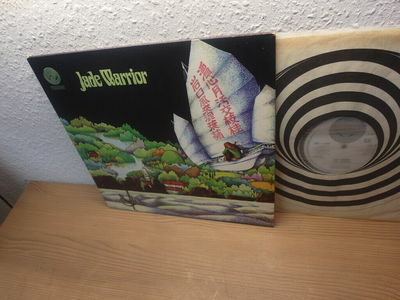 ORIGINAL UK 1ST PRESS FROM 1971 ON THE ORIGINAL UK SWIRL "VERTIGO 6360 033" RECORDS LABEL! ORIGINAL UK 1ST PRESS "MATT" FOLD OUT COVER!!! WITH "VO PRICE CODE" ON BACK COVER!! !